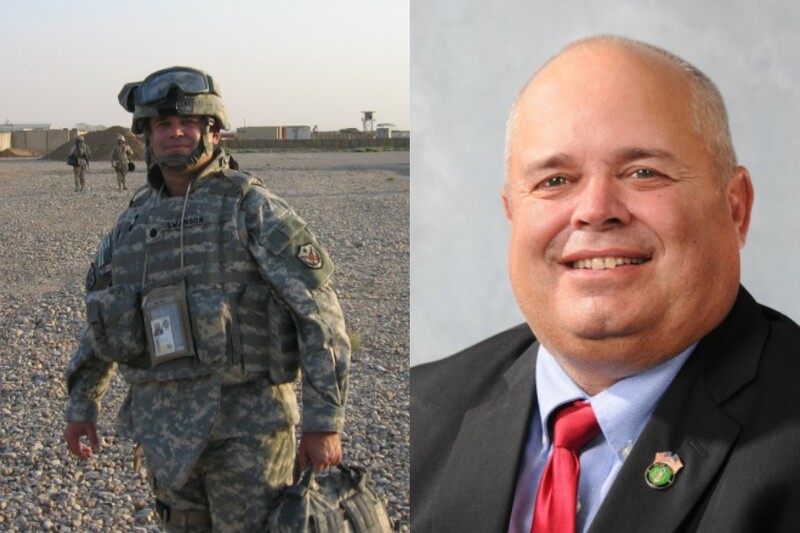 As a military veteran Rep. Dan Swanson brings a unique perspective to Springfield. He understands better than most that many of the brave women and men who honorably served their country now find themselves in need of our help. To that end, Rep. Swanson has been a champion of Veterans issues since taking office. On Sunday, Veterans & Gold Star Families Day at the Illinois State Fair, Governor Bruce Rauner held a ceremonial bill signing for several measures Swanson sponsored to assist those who serve us in the United States Military. House Bill 4212 provides a mechanism for law enforcement to immediately respond to a missing veteran or active duty service member. Under Swanson’s bill, law enforcement can issue a Silver Alert for a missing veteran or active duty service member. Like an Amber alert, the public will be notified in an effort to quickly locate the missing person and perhaps save a life. House Bill 4332 makes it easier for honorably discharged to receive the “Veteran” designation on their driver’s license by expanding the documentation acceptable to prove status. House Bill 4848 requires health care providers to provide one free copy of a patient’s medical records if the patient is an indigent homeless Veteran and the records are being requested for supporting a claim for federal Veterans’ disability benefits. House Bill 4849 ensures that the Illinois Department of Military Affairs is within full compliance of the Master Cooperative Construction Agreement and federal fiscal law as it pertains to distribution of funds for capital improvements and rehabilitation construction costs. With over 28,000 active duty military members based in Illinois and many more Veterans living in Illinois, Rep. Swanson is proud of working on behalf of this population.